Listening to your podcast while you edit with headphones on might lead you to think your audio is just right. That everything sounds perfect. But what about the most important listener…your audience? Make sure the audio you’re publishing sounds as good to your audience as it does to you. Take your podcast for a trial run on as many speakers you can find. Play your podcast in your car where a large number of people are listening on their commute. Can you hear it clearly over the traffic and other sounds inherent to driving? Try your podcast on cheap earbuds that came with your mp3 player as well as the speakers on your computer, TV, and phone. Testing your audio in as many places as possible will give you a good gauge of how your audience hears your podcast. Make sure what you’re publishing can actually be heard most places it might be played and you’ll keep your listeners coming back for more. Get one month free on a new Libsyn account! 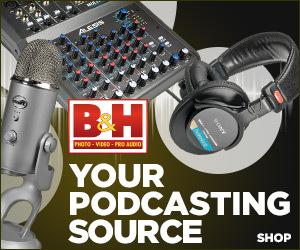 Do you need a reliable host for your audio or video podcast? Consider moving your show to Libsyn.com (my chosen host) and get your first month free when you use promo code: podcasthelper at checkout. Need helping starting your first podcast? Contact me to work one on one setting up your show today. Once you’ve edited your video you need to export it, add some metadata and then upload it to YouTube. But before you do that, make sure that the name of your actual video file is something relevant to the information contained in the video itself. This is because YouTube indexes the file name as well as all the other metadata you include. Doing so will help increase your visibility in YouTube search and is just another bit of insight into YouTube’s algorithm for choosing which videos rise to the top. Looking around my studio, I counted almost ten different ways to record a podcast. Over the next few episode of Podcast Quick Tips, I’m going to be using each of these methods to demonstrate how you can produce a quality sounding podcast many different ways. First up is the Zoom H4n. This digital audio recorder is an amazing little piece of technology and really the only thing you need to record a podcast. 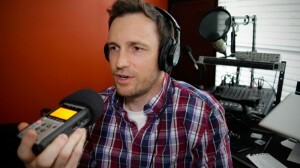 You’ll hear how I use the on-board condenser microphones of the H4n to record this episode. Coupled together with some post production, you can create some fantastic sounding audio. A little compression, a limiter, some EQ and a touch of noise removal can really improve the audio that comes off the Zoom. However, this device is powerful enough to produce a show without using any post production. It can even compress your raw audio file into the mp3 format for you. I also talk about BlogWorld NYC 2012. I’ll be speaking on two different panels and co-teaching a two part class titled “Podcasting 101” along with Daniel from The Audacity to Podcast, Dave from The School of Podcasting’s Morning Announcements and Dan from Podcast Like a Radio DJ. If you’re considering attending this year’s BlogWorld, which will have an incredible podcasting track, make sure to use my promo code: PodRay10 on checkout to save 10% off the price of your ticket. And, if you purchase by May 15, 2012 you’ll save an additional $100 off the price of a ticket. If you’re going, make sure you let me know so we can meet in person! If you weren’t already aware, Skype is likely controlling your audio levels. As podcasters, we want to make sure we are in control of all our settings all of the time. This is how you can make sure Skype isn’t changing your audio quality. Skype just released (03/06/12) a new version of it’s software for the Mac (version 5.6.0.143). In this release they placed a check-box (already found in the Windows version) for controlling Skype’s auto gain control (AGC). What AGC does is listen to the proximity of your voice to the microphone and adjust the volume as necessary so that the person on the other end can always hear you at a decent level. However, as podcasters, we don’t want anyone besides us deciding what our gain level should be and we certainly don’t want it to change during recording. Now you can simply go into your preferences audio/video settings and uncheck the “Automatically Adjust Microphone Settings” box. Then go into your computer’s settings and set the level you want your mic to be. When enabled, AGC will constantly adjust the level of your audio based on your relationship to the mic and whether or not you are speaking into it. During times of silence or if you move too far away from the mic, this can cause the “noise floor” to be raised higher thus producing an audible hiss. Disabling AGC will help to prevent unwanted noise. Sean Allen sent in a guest Quick Tip detailing how he increases the credibility of his podcast by using voice overs. When you insert a link to a hosted audio file into Facebook’s link section above the status box, Facebook will automatically create an audio player. Below this audio player is a couple areas of information about any particular audio file you link to. They don’t make it obvious that you can actually edit the information that is contained in these fields (title, artist, album) but it’s an easy process once you know how. Simply place your mouse over each section and the field to be edited will be highlighted. Click and place whatever text you like into this section. It’s that simple. This also applies for the title of the file seen in bold lettering. There are any number of reasons why you might need to convert a video from one format to another. In the case of video podcasting perhaps you need to make your file compatible to work on Apple devices or you need to take your original file created specifically for iTunes and make it more compatible with any type of media player. These are just two of the reasons why a video converter can be an important piece of software in your podcast production tool box. In many cases, because the web often deals in flash (flv) files, you may need to convert them to another format which works better for your particular needs. In this episode I give you a brief introduction to some of the free, cross platform (Windows and Mac) tools I use for converting video file formats. An introduction to mixlr.com, a new live streaming dedicated to the audio only podcaster. With mixlr’s easy to use app, available for both Windows and Mac, you can easily stream your show live to the web while you record it in your studio. The advantages to live streaming audio only are many in the case of mixlr. Of primary interest to every podcaster should be mixlr’s ability to put your show live into the hands of anyone, anywhere. Mixlr’s live streams can be played on any mobile device with a browser effectively allowing your audience to listen live in the car, at the gym, or just waiting in line. Essentially anywhere your audience is, your show can be too. Also, streaming audio only allows for your computer to use much less computing power and is much easier on your bandwidth. For a much more in depth review of mixlr and it’s features which include great embed players for your website and facebook page, check out The Podcasters Studio Episode 048. 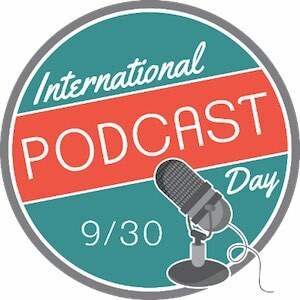 If you use WordPress to create your podcasting RSS feed then you may have noticed that only ten or less of your most recent episodes are showing up in podcatchers such as iTunes. There’s a simple fix. Simply adjust the default syndication setting (10) in the Reading section of your WordPress settings. Click here to see a screencast tutorial of me walking you through the process. 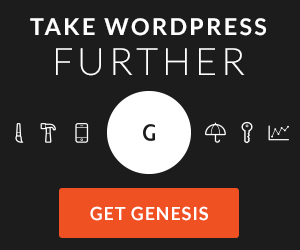 This works for both free sites on WordPress.com and your own installation of WordPress.